Hasan Ali I, also known in Iranian orbits as Bakir Shah, was born in Kahek. He had also gone to the city of Kirman with his father, but returned to Kahek after assuming the Imamate. In 1085/1674, he betrothed to a Safavid lady, and soon afterwards, there is a likelihood that the Imam had taken certain interest in the political arena. In 1105/1693, he was made the governor of Kirman. The cursory glance of the Iranian empire reveals that Shah Abbas II had died in 1077/1666. John Malcolm writes in "History of Persia" (London, 1815, 1st vol., p. 582) that, "The love of wine, in which this prince often indulged to excess, was the cause of all the evils of his reign. It was in his moments of intoxication alone that he was capricious, cruel and unjust." Shah Abbas II was succeeded by Shah Suleman. Henceforward, the Safavid kingdom took a rapid march towards decline. Under weak and ineffective king, the ulema tended to reassert their independence of the political institution, and were at the height of their power. The mujtahids fully reasserted their independence of the Shah, and reclaimed their prerogative to be the representatives of their hidden Imam. The mujtahids moved gradually towards a position of actually controlling the king. Some sources suggest a direct religious rule by means of a concourse of mujtahids above the monarch. The ulema consequently pressed forward to obtain a dominant position in the state, heedless of the fact that by so doing they were helping to destroy it. The foreign observer, such as Sir John Chardin had noted in his "Voyages du Chevalier Chardin en Perse" (Paris, 1811, 5th vol., p. 249) that, "The ulema were saying that these immortal Safavid kings were not worthy of kinship and that the mujtahid is the real ruler as representative of the hidden Imam." The Russian ambassador visited Iran during the period under review to conclude a truce, and as a result, Mazandaran, Jurjan etc,. went into the pocket of Russia. The Ottoman sultans in Turkey were also so weak that the whole empire had been isolated in different states. They however marched in Europe, near Vienna, but the Russians were devouring the Turkish territories behind the door. In India, after the reign of Shah Jehan (1627-1658), the Mughal princes fought for the throne. Finally, Aurengzeb (1658-1707) ascended and ruled till 1118/1707. He fought with prince Dara Shikou, who was associated with the Qadri Sufi order. 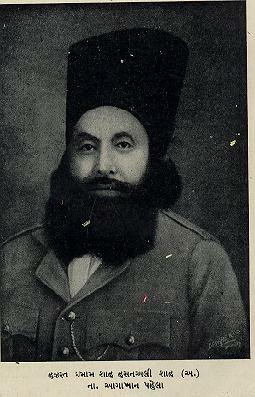 Aurengzeb was strict orthodox, intending for the Islamic rule in India. After his death, the Mughal empire was torn apart by the incessant strugglers of rival claimants to the throne. Imam Hasan Ali directed the Ismaili mission in view of the changing situation of Iran. The names of few Ismaili dais, viz., Pir Mihrab Beg, Pir Ali Asghar Beg and Pir Ali Akbar Beg are however located, but nothing is known about them. The Turkish word beg in their names however sounds that they should have preached in the Iranian regions inhabited by the Turkomans, or more possibly, had come into the close contact of the Kizilbash circle in Iran. 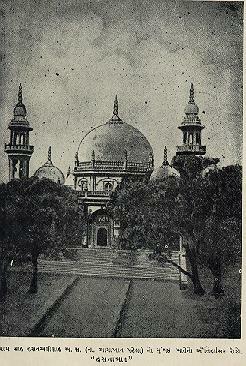 It is learnt that in 1868 at Bombay, an unknown Ismaili scholar had composed a long poem to glorify the Ismaili Imams, tinged with brief accounts and advices of the Imams. It tells that Imam Hasan Ali I, had warned the Indian jamats the coming of a storm of foreign religious dogma that would convulse the poor people. He also emphasised his followers to adhere strictly to the faith of their forbears. It appears that the above unknown scholar would have derived his informations from the old manuscripts. The timely guidance of Hasan Ali however may be verified from the fast moving activities of the Christian missionaries hovering over India in the poor class. W.H. Sharp writes in "Selections from Educational Records" (1st vol., p. 3) that, "In 1659, the Court of Directors in England stated that it was their earnest desire by all possible means to spread Christianity amongst the people of India and allowed missionaries to embark on their ships." Thus, the evangelical zeal found due support in England, and steps had been taken for the propagation of the Gospel in India in the poor class. The British East India Company was primarily a commercial concern, but it also launched in the campaign in fostering proselytising and educational activities in India. In 1698, the famous missionary clause was included in the Charter of the Company by British Parliament, directing the Company to maintain ministers of religion at their factories in India, and to take a Chaplain in every ship of 500 tons or more. It was not the Company's educational enterprise as stated by some, but a systematic campaign to the activities of the Christian missionaries. On that juncture, it is possible that Imam Hasan Ali I had appropriately warned his Indian followers about the incoming storm of the Christian dogma from Europe. In the flourishing liberty of the Shiite mujtahids in Iran, the latent differences came readily to the fore. Two major schools of theological thought emerged in Shiite society. The majority stressed constant reference to the first principles, to all the sources (usul) of law: these were Holy Koran, reports about the Prophet and the Imams. They became known as the Usuli. But a vigorously protesting movement arose, which threw doubt on the validity of reason as an independent basis of law; it stressed the massive use of reports (akhbar) were available from Prophet and the Imams, and they were known as the Akhbari. One of the most important features of this period is the greatly enhanced influence of the religious classes as a whole, as they freed themselves from political control apart from the internal differences of the Usuli and Akhbari groups. Powerful theologians emerged, of whom a typical example is Muhammad Bakir Majlisi (1037-1110/1628-1699), who held the office of Shaikh al-Islam from 1687, and then as Mulla-bashi (head of the mullas) until his death. It is a significant point that the Usuli and Akhbari Shiite groups jointly made the Sufis as their victims. Under these circumstances, the Ismailis had to change their Sufic mantles to the Shiite. It appears that Imam Hasan Ali also followed the similar taqiya in Kirman, and adopted the Shiite sounding name, Bakir Shah few years before becoming the governor of Kirman in 1105/1693. It is also said that he had purchased some estates in Baghdad, Basra and Kazamain Sharif. The last will of the Imam, indicating his burial in Najaf also suggests a sort of taqiya in Shiite garb. The Safavid Shah Suleman is reported to have used the fortress of Alamut as a state prison for the rebellious persons from among his courtiers, amirsand relatives. At that time, only a few Ismaili families resided in the lower Caspian region. Imam Hasan Ali I executed the governorship of Kirman for one year, and died in 1106/1694, and his body had been taken to Najaf for interment.